Anime Otaku Reviewers: Want to enlist the services of a Taoist master? Want to enlist the services of a Taoist master? Look no further than One Piece! For those of us who already watch One Piece almost religiously, this is the perfect opportunity for you to become a skilled adept in Taoism. The captain of the Strawhat Pirates is himself a grand master of Taoism. Tao: Tao is spontaneous, indescribable, and natural. It is the harmonious flow of the universe. Te: Is power, virtue, and integrity. It is the way Tao can be performed. Wu wei: This is akin to being like water, yielding and and soft yet it can carve stone. It is said that one should not impose their will against the universe. Pu: Translated to uncarved block. It symbolizes the potential one has. It also refers to perception without prejudice. Luffy exemplifies all of these in the way he acts toward others and toward his goals. We already know Luffy is the MASTER so I'll try to cover what a would try to call him out on. 1. He may eat way too much but he doesn't really have any real vices, like a temper or an addiction to power. He also spars with whales in his spare time so he needs the energy. 2. He always wants to fight, he never tries to talk things out, one might say. But if you think about it, in his world power is the only answer, alot like ours. Luffy has what it takes to fight for what's right so he does not back down. Powerful use of Te. Also Luffy never starts an unnecessary fight unless he's just playing. 3. He's got a one-sided goal the average hater would say. But Luffy never said what he was gonna do with One Piece or as the King of Pirates. He just knows that the Pirate King would have "the most freedom on the seas". It's ok if we can't be as perfect as Luffy, just being in his crew can increase your tao. All of his crew at least signifies Te, just look at their determination. Even Usopp grew in his determination. But for those of us not in his crew just do your homework! Here's your homework. 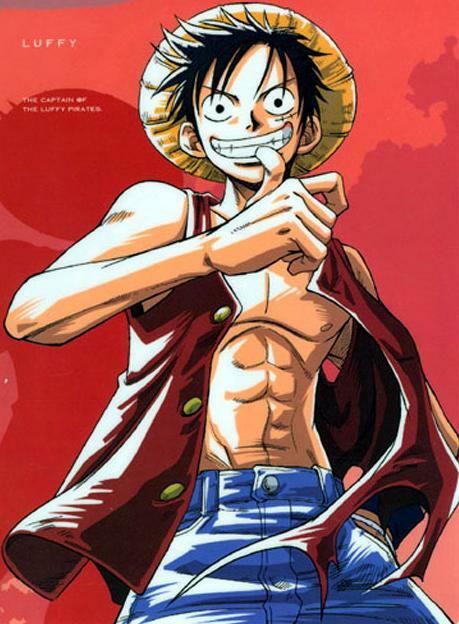 Go watch a lesson from the master himself, Eiichiro Oda, I mean Luffy! Take some notes and apply it to your life! You should be scared of the navy as a pirate!! !